Synopsis: Thomas thinks he’s an ordinary twelve year old, but when a strange little man with gold-flecked eyes gives him an ancient text called The Book of Sorrows, the world he knows is turned upside down. A story of magical crystals, books and stories that comes to life. 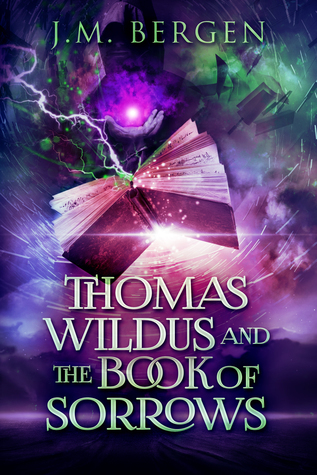 The story of Thomas Wildus is advertised for fans of Harry Potter, and through it is aimed for the same age group and the title character is roughly the same age group I think the stories are vastly different, though one can argue that they both are magical thrillers. Thomas Wildus and the Book of Sorrows did engage me from the get go. It is a book aimed at middle grade, but the entertainment value is good enough for older readers to enjoy it as well. For avid readers it carries a resemblance to the Inkheart series, but unlike Inkheart (a series I gave up on halfway through the second book) it managed to keep my attention and keep me invested in the story because Thomas is easier to empathise with than Meggie. Thomas Wildus is a good role model for children, he takes a stand away from the crows and he accepts our modern multicultural community without blinking. Though at times it might had felt a little over the top I do believe that the books will do a good service to advocate acceptance, and this is something I truly value in literature. Through I would have liked a less stereotypical portrait of other cultures (Asian in particular), but it is great to see the diversity in literature with a white title character. All in all I think this was a great read, it keep me entertained and I will patiently await book two. 1st book in an unnamed series. The Elf King is very clearly intended for a younger audience, which I was aware of when I started reading. Still it took me a little while to get with the story, it might have been the beginning that seems a bit abrupt or that the pace seemed a bit in certain places. Though once I got a grip on the story I managed to stay with it, and I did rather enjoy it. The narrative is fresh and young When I read it kept reminding me of the Disney movies about Tinkerbell, and I think those who enjoyed those movies will enjoy this book series very much (maybe when they are slightly older than the intended age-group for Tinkerbell). The community in which we meet the elves felt very natural and convincing. Lorraine has her own take on the elves without it becoming forced, you can see her own little world in there. I do though recommend this book for younger readers, though I see no reason older readers shouldn’t enjoy this book too. Serafina has never had a reason to disobey her pa and venture beyond the grounds of the Biltmore estate.There’s plenty to explore in her grand home, although she must take care to never be seen. When children at the estate start disappearing, only Serafina knows who the culprit is:a terrifying man in a black cloak who stalks Biltmore’s corridors at night. Joining forces with Braeden Vanderbilt. 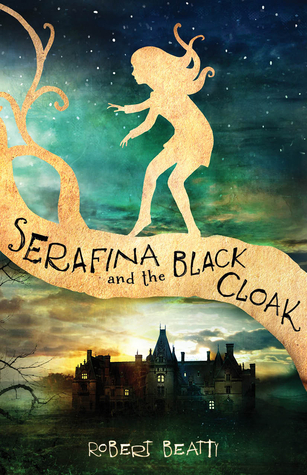 Braeden and Serafina must uncover the Man in the Black Cloak’s identity before all of the children vanish one by one. Serafina’s hunt leads her into the very forest that she has been taught to fear. There she discovers a forgotten legacy of magic. In order to save the children, Serafina must seek the answers that will unlock the puzzle of her past. This book had a huge marketing hype around it. All the marketing, the intriguing description as well as the book-cover got me very excited about this book. In many ways this book would be better off had the author invented a fictional family to go with the castle. Instead he chose to go with the family who are historically linked to the estate, and then he throws history all over the place. Of course all historical fiction does fictionalize a lot of things, but their fictional facts should in some fashion be linked to actual historical facts or theories. The characters were easy to enjoy but they were a little flat. The mysteries are a bit simple and the books targeted audience (8-12 year olds) wouldn’t have much trouble figuring out the mysteries presented in the book. That is everything except Serafina’s own “past” which is barely foreshadowed at all and is just info-dumped on the reader in the end. Though it is pretty clear what she is, or it is very well displayed by the books illustrations, but the whole why and whens are just dropped in the end. That aside, this is a book that can be enjoyed, particularly by it’s targeted audience, but the hype around it is insanely overplayed. This is a normal mediocre book which could have been much better had the story been a little more complex and with more colorful characters. If the novel had been longer and there had been more space for the character’s to evolve, this would have been a superb book. By all means, this book turned out to be a huge disappointment. Synopsis: For Calum Ranson, seventh grade brings changes in his relationship with his parents and his friends, and a confrontation with his bully. Calum’s talents have also developed to a level unheard of in the Sidhe world, and he surprises everyone when he cleverly catches the person responsible for casting Finley out from the Otherworld. When Calum goes against everything he knows is right, he makes a choice that may cost him his friendship with Laurel. An old friend steps in, but her mysterious ways leave Calum questioning her motivation. 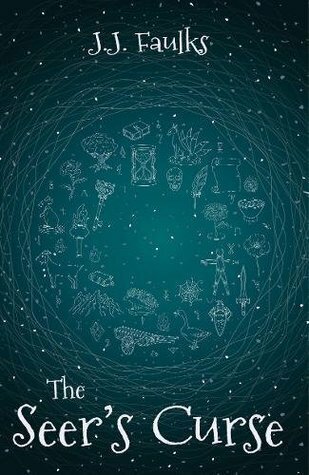 Irish mythology is much complimented in this story, and it is because of the overtone of mythology that I was interested in reading this story. This book is a second book in a series, and it did not read well as a stand alone novel, but I have decided to not let that cloud my opinion of the book. The characters were well written and came alive on the page, they were interesting even though I knew little of their background. The themes of the story were clear: friendship and loyalty, and the story was well crafted around them. 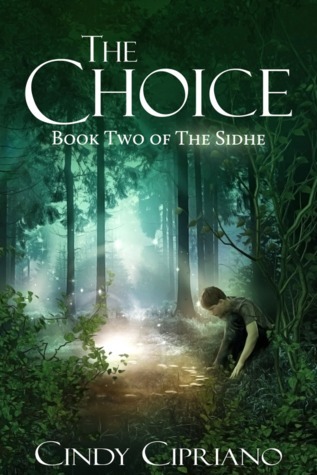 Even though “The Choice” is the second book in a series, it did easily explain the Sidhe’s world with its rules and limitations, so it was easy to get into the story and understand the realm. As an overall, “the choice” had a good and entertaining story, which was well written with a fastidious attention to details, but the fantasy elements could have been stronger. Synopsis: In this epic conclusion to the Jack Staples trilogy, Jack and Alexia must make an impossible choice during their final battle against the Assassin—one that could alter time itself and the fate of the world. 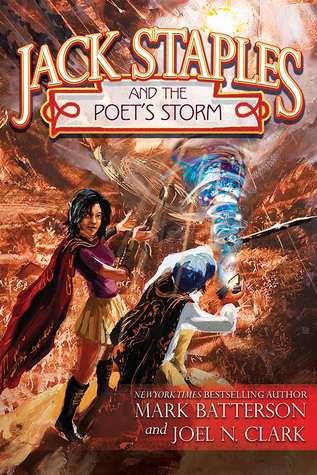 Jack Staples and the Poet’s Storm is a worthy ending to the trilogy about Jack Staples. It is not the strongest book in the series, the first book was far more enjoyable. This third and final book offer a conclusion to the storylines from the previous two books. At times it did feel like a chore to keep reading, but it was nice to see the loose ends coming to a conclusion. Synopsis: Meet Freddie Cottonmouth – A Boy Who Loves the River, Big Adventures, and a Furry Beast named Tug. 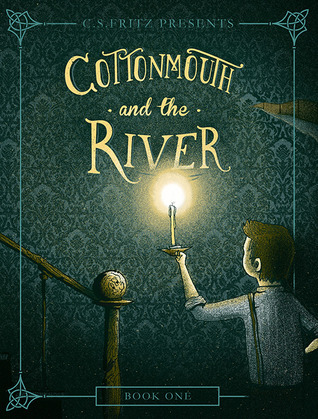 The story of the lonely boy Cottonmouth, is a rather sad one. The little boy has lost both his parents, and he lives in an empty house alone. Every day he goes to the river, hoping for his parents to return. It is rather unclear whether his parents left him or if they died, though from the sound of the story I would guess that they are dead. The simplicity of the illustrations adds to this rather straight forward story. Cottonmouth finds an egg that can grant him anything he wishes (but not the return of his parents), but he must never eat it. Of course he is struck with temptation, and must face the consequences of his actions. It is a very moralistic sort of story. The story is rather grim, but it has a few up-notes. It’s ending has a pretty clear hint to what’s to come next. Synopsis: The Assassin is closing in. Just as Jack and his friend Alexia discover what it means to be the Chosen Ones, they each face the test of a lifetime. For Jack it is a question of trust; for Alexia, of loyalty. Everything rests on their making the right choices, and on the completion of their missions. The Assassin expects they will fail, and that they will either join him or be destroyed. It will take all of the Author’s forces, the special gifts Jack and Alexia each have, and the help of their friends, Arthur and Mrs. Dumphrey, to overcome. But when the enemy makes a key move, and an important quest proves difficult, the prophecy—that they will both destroy and save the world—seems further from coming true than ever before. 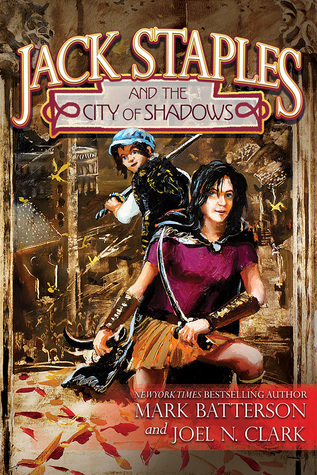 My Review: Jack Staples and the City of Shadows is the second book in the Jack Staples trilogy, and it carries off from where the last book left off. The first few chapters are a bit slow to get through, and Mrs Dumphrey has quit a few lines that are trying a bit too hard to make her seem like an odd, wise, old lady. As soon as Mrs Dumphrey start speaking like a normal person and stop speaking in riddles and clichés the reading experience gets much more pleasant. The action starts early in this book and the both Alexia and Jack has to carry their wits with them in the various situations they have to face. As the Assassin is closing in with all his power the two children of the prophesy is about to face the Test of their lifetime, it is important for them both to not make mistakes, but they are both only human and they are kids. Just as the previous book there is a lot of time jumping in the narrative, and it is a bit hard to follow, but most of it ties together in by the end. Alexia’s back-story is explored a bit more, within the time-jumps, and we learn more about her characters. Synopsis: When hunters from her village disappear without a trace, Alice suspects that something sinister is at work. With the help of Storm, her wolf companion, Alice fights to save her village. The Narlaw are on the attack and it’s up to the Whisperers to stop them. This book did sound good. It is about a small village, it’s a girl with a wolf pet, and they have to save the village (and not the world). The writing is good and easy to follow, but the plot felt too simple, even for Middle Grade novel. Some of the trouble seemed to be very easily fixed, which resulted in not creating enough suspense. The double Point of view seems a bit wasted as the book is very short, and the two narratives is very similar so it is hard to tell them apart. Also, where were all the wolves? 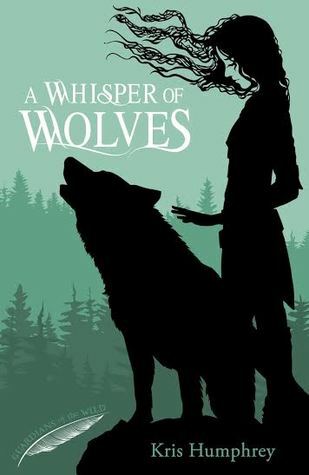 The title hints to something of a wolfwhisperer, but they seems to bring a vast amount of time listening the birds rather than having any wolves present. 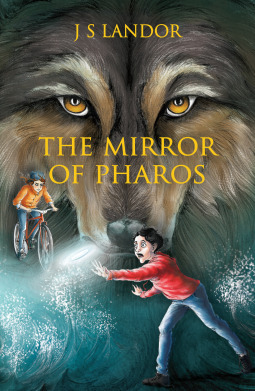 This book is a fast little read, it is not a bad book but it did have room for more development of it characters; especially the relationship between Alice and her mentor.Hopefully future installments of the series will include more wolves.